I am 55 years old and a husband .and father of two children.Started working for Progress Aluminum & Insulation in 1982. Started insulating walls and attics with cellulose insulation, moved on to install siding, soffit and fascia and 5″ seamless eavestrough which at that time we bought from a outside source. Progress had purchased their own trough machine which I delivered and installed for jobs and run off for other renovation companies. After 4 years working in the field I advanced into sales of all the products that Progress had to offer, taking in many seminars and closing courses to improve my knowledge of both the product and sales ability which I have been doing for 28 years now. I feel that there is not too much as far as small renovations that I haven’t come across and am able to either have Progress do the work or recommend a trade that would do it. I have been with Progress 32 years now and looking forward to be with them until retirement . .
Gary has been in the construction business for over 40 years. He has always lived in Stratford except for the years when he received his business degree from Western University.Gary has always been an active participant in the community.A current member of the Rotary Club of Stratford, a past president of the Stratford & Area Builder’s Association and involved in sports and volunteering. 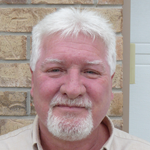 His construction experience is wide ranging from Project Management on Industrial, Commercial buildings and renovations, building new houses, running trade crews in Urea Formaldehyde removal and restoration, concrete forms, siding, and window and door installations. 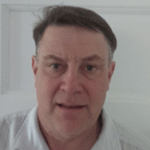 Now the General Manager of the Progress group of companies, Gary has the experience and knowledge to help you with your construction needs and dream projects.